Ornamentations on the backside of the house at Gerberstrasse Nr. 16, where Carl Wilhelm Schünadel was born *31.12.1851. 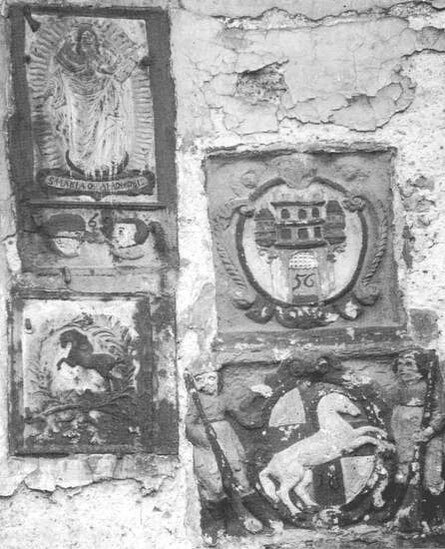 The ornamentations were done in1656. 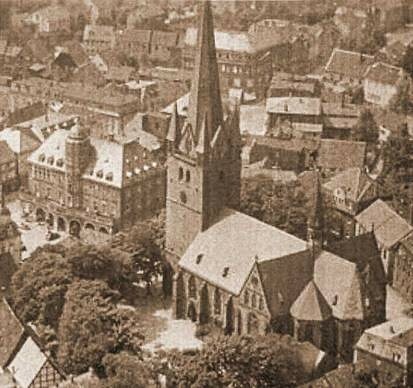 It is with sincere pride that our roots are from this beautiful, historical, defensive walled town, Menden, Germany. 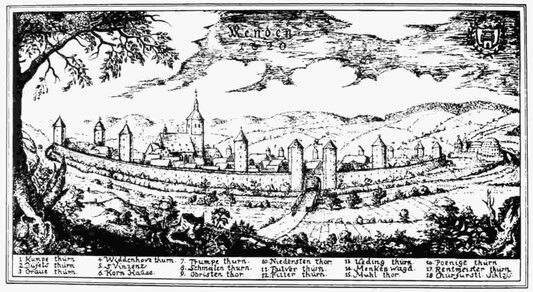 This picture (a socalled “vignette copy”) by Karl-Heinz Rickert from the year 1957 shows a prospect of Menden from 1620 (the original can be seen in the museum of Menden). Great-great-grandfather Carl Wilhelm Schünadel was born in Menden, on December/ 31 / 1851. He was the 5th of 6 children by parents Peter Schünadel and Agnes Friedrich. His baptismal records show he was baptized at St. Vincenz Catholic Church, Menden, on January / 6 / 1852 by the priest, Philipp Hemmer. During the years of the 1870s a widespread campaign of religious suppression took place in Germany. It has been said this was a time of a political movement started by Chancellor , Otto von Bismarck, called the “ culture war”. In short it was a stressful time between Catholics and the Government. As a result, Capuchin friars left Westphalia for a German Carmelite monastery in Cumberland, Maryland. That monastery is now known as Sts. Peter and Paul's Catholic Church. This entry is taken from our Sts. Peter and Paul Catholic Church, Cumberland Md., the church history book: In 1875 Capuchin Franciscans arrived in America seeking refuge from the persecution of the Kulturkampf, the conflict between the German imperial Government and the Catholic Church over the control of education and church appointments. It was during this time that Carl left Germany to come to the United States, where he could find a new life with more freedom and opportunities. On September/27/1873 he arrived in Baltimore, Maryland. He set out to Cumberland where he knew he would find this Catholic parish and other German immigrants who had settled here. He was eager to find work so he could send for his fiancée, Clara Duvahl, who was still in Germany. 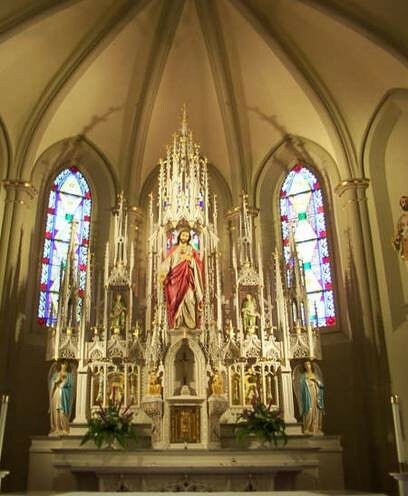 Sacred Heart of Jesus altar at the Sts. Peter and Paul Church. Clara arrived in New York on July/6/1874 where she was met by Charles (Carl). 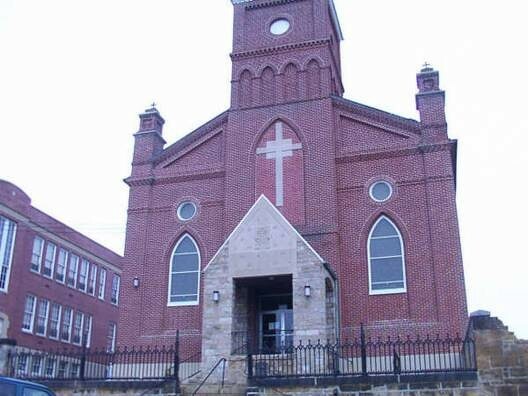 They returned to Cumberland where they were married on July / 20 / 1874 in Sts. Peter and Paul’s Catholic Church, by Father Cyril Knoll . 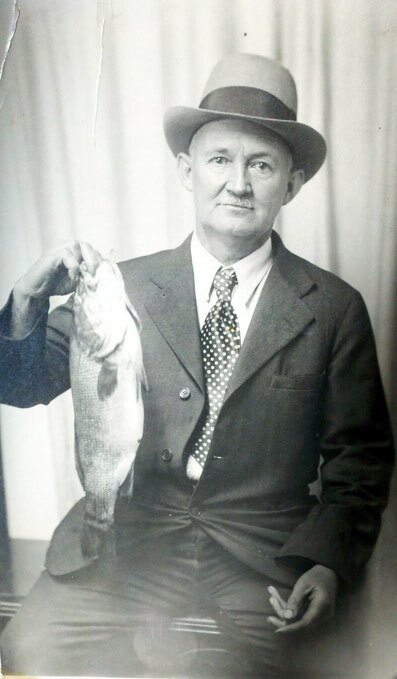 The first of Carl and Clara’s six children, Charles William Jr. was born on August / 25 / 1875 in Cumberland, Maryland. 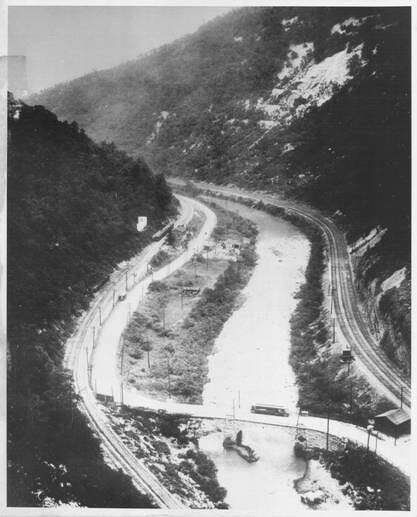 On August / 1 / 1877 they moved to Patterson Creek, West Virginia, where Charles worked for the railroad. While living there two more children were born. Joseph John was born on November / 6 / 1877 and three years later, Mary Clara on September / 17 / 1880. 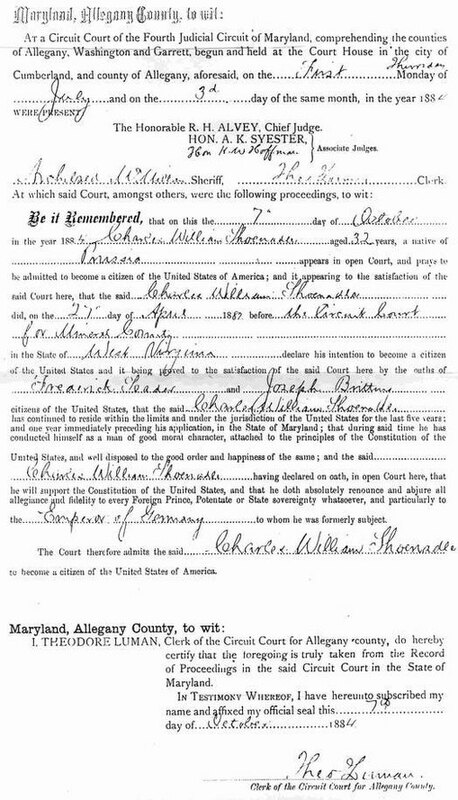 Charles applied for citizenship on April / 27 / 1882 in Mineral County, West Virginia. Since this was a time before women’s rights, Clara could not apply. However, when a man became a citizen, his wife did also. 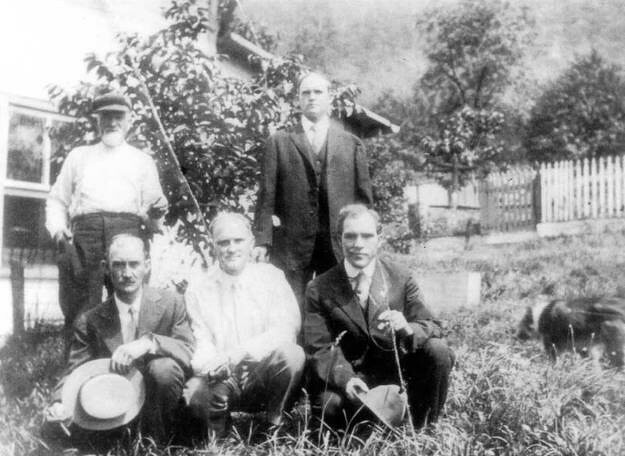 On August / 11 / 1882 they returned to Cumberland, Maryland, and rented a house on Frederick Street. Their fourth child, Frederick Charles, was born there on September / 29/ 1882. On November / 30 / 1882 they bought a house on Shriver’s Hill in Cumberland from Daniel Houck for $ 300.00. After living there and making many improvements, Charles invested in a second house on Shriver’s Hill in January of 1884. The cost of this house was $200.00. They were very excited to finally own a piece of the American Dream. On October / 7 / 1884, Charles became a citizen of the United States of America. He was thirty-two years old at this time. His witnesses were: Joseph Britting and Frederick Seader. Being a citizen now he was able to vote in the up-coming election of president. On November / 4 / 1884 he cast his vote for Grover Cleveland. On February / 16 / 1886, their second daughter, Teresa Frances was born. She died when she was only a year and a half old, on July / 14 / 1887. Their last child, Peter Martin, was born on January / 19 / 1888. 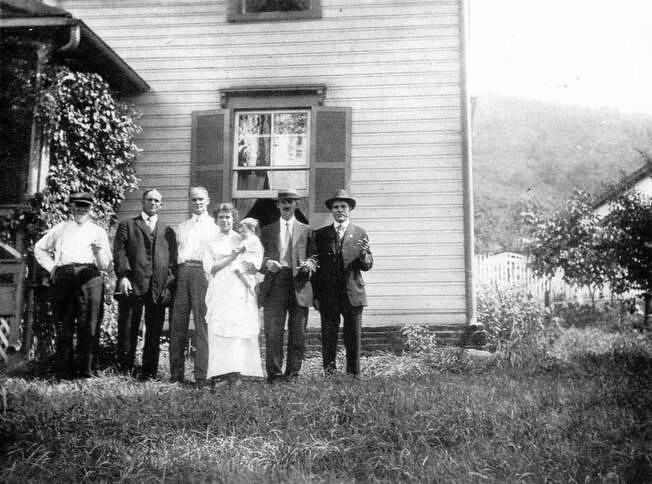 In 1890 Charles and Clara moved to Narrows Park where they lived till their deaths on a farm overlooking the Narrows Park and at the headwaters of the Narrows (Cumberland, Maryland). It is said that Carl wrote a poem, lost from us now, about the Narrows, in which it said about how it reminded him of the Rhine River back home. It is the writers note here: that having visited the Rhine in Germany, I also agree that it looks very similar. Only much smaller and shorter in length. 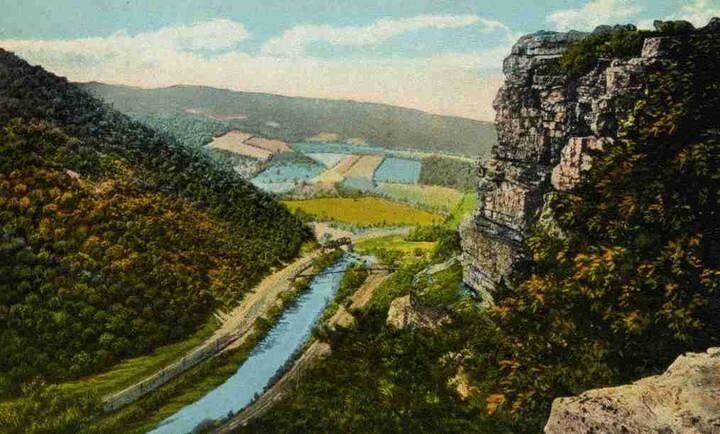 The Narrows are also known as the “Gateway to the West” in the history of Western Maryland. A great deal of American history went through that pass in the mountains. Charles worked on the former Baltimore and Ohio Railroad and the Cumberland Electric Company Trolley Railway, as a track foreman. 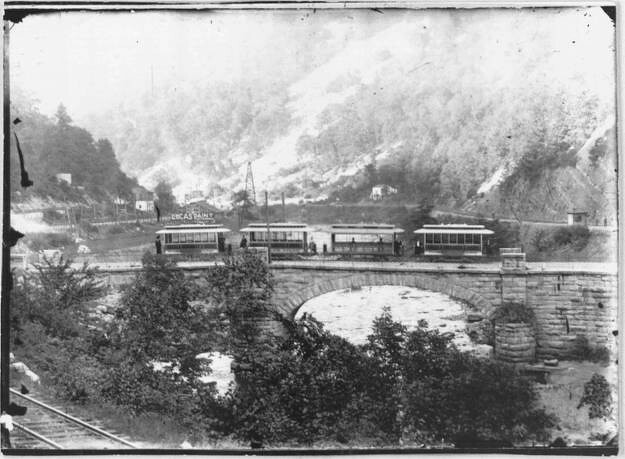 This railway ran from Cumberland through the Narrows to LaVale at Narrows Park. Charles also enjoyed working on his farm. Clara died on February / 21 / 1928. 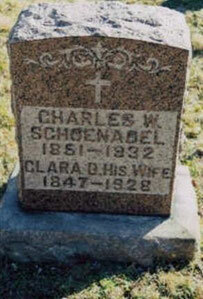 Charles died on July / 29 / 1932 at the farm while eating supper. They are both buried in Sts. Peter and Paul’s Cemetery, Cumberland Maryland. 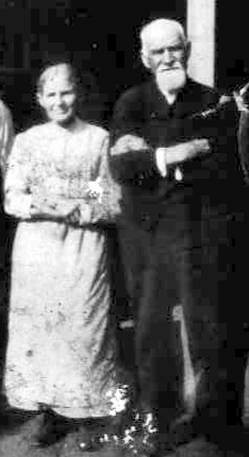 Throughout their lives , Charles and Clara remained dedicated members of Sts. Peter and Paul’s parish. All of their children were baptized there. 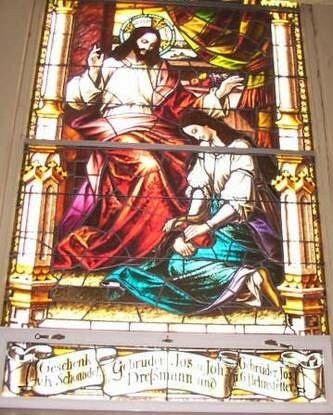 A stained glass window bearing the name of K. Schönadel remains in the Church today to commemorate their generosity. He was a member of the Sts. Peter and Paul Beneficial Society. Printed in the Cumberland Times News March 31 1998 in an article. 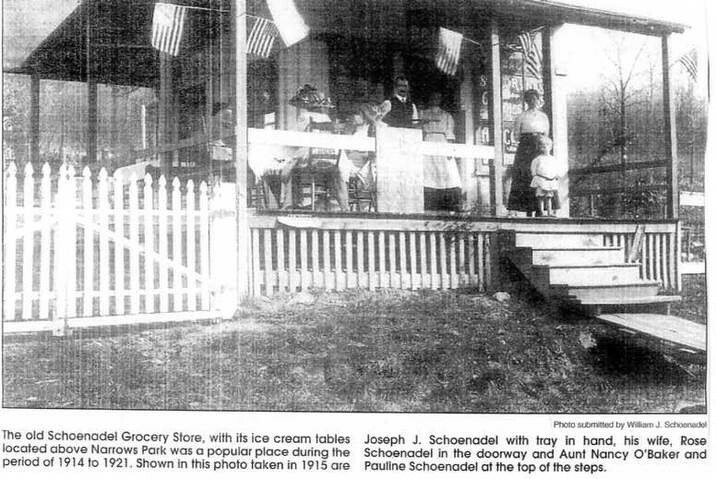 In 1914, Charles and Clara’s second son, Joseph J. Schoenadel and his wife Rose established a grocery with ice cream tables on his property adjoining Narrows Park. During 1920-1921 they operated the restaurant in the park. 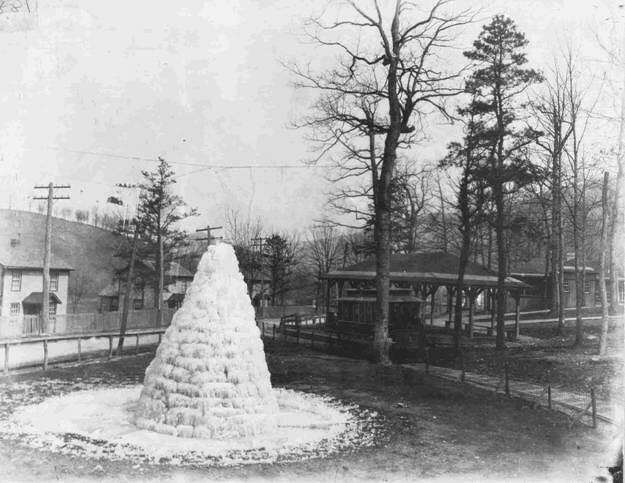 These photographs are part of the Herman and Stacia Miller Collection and have been printed courtesy of the Mayor and City Council of Cumberland, Maryland. In 1922 they opened the second Schoenadel store opposite the fountain and street car turnaround for the Cumberland Electric Railway and the Cumberland and Westernport Railway. Cumberland and out-of-town papers were sold at the store and delivered by the children. The route extended from Locust Grove to the Six Mile House in LaVale. Graduating from express wagon to horse and finally automobile all members of the family were involved in delivery until the store was sold in 1946. The family of ten children all helped in the business. 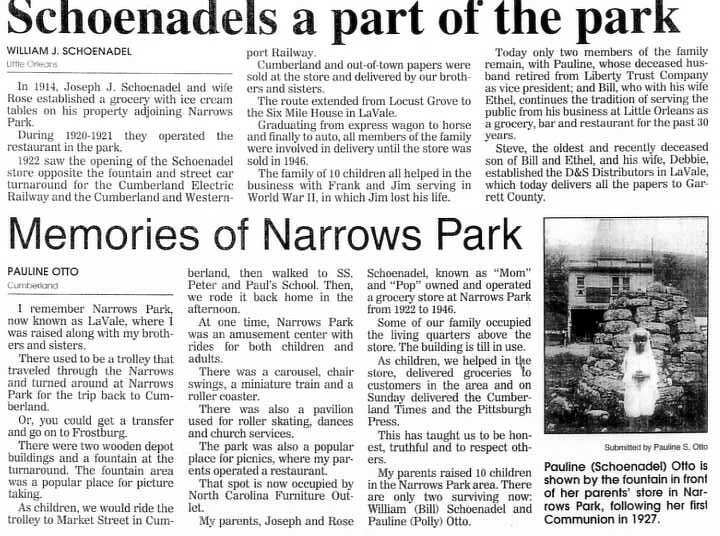 My father, George Schoenadel, was Joe’s grandson, who also helped in the deliveries. Dad said they delivered as far as their legs could carry them. He told me grand pa Joe never believed in insurance on the store. Joe had cherry bomb firecrackers tied on strings around his furnace as fire alarm system. It must have worked because the building is still there today. According to elder family members and old neighbors memories, shortly after the second store opened it was robbed by 2 men. 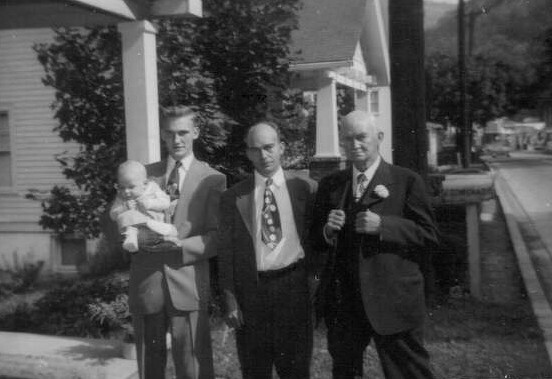 Joe fired shots from his pistol and the robbers never returned. After the flood of 36, Joe and Rose fed people in need, those who lost their homes in the flood, at their store. 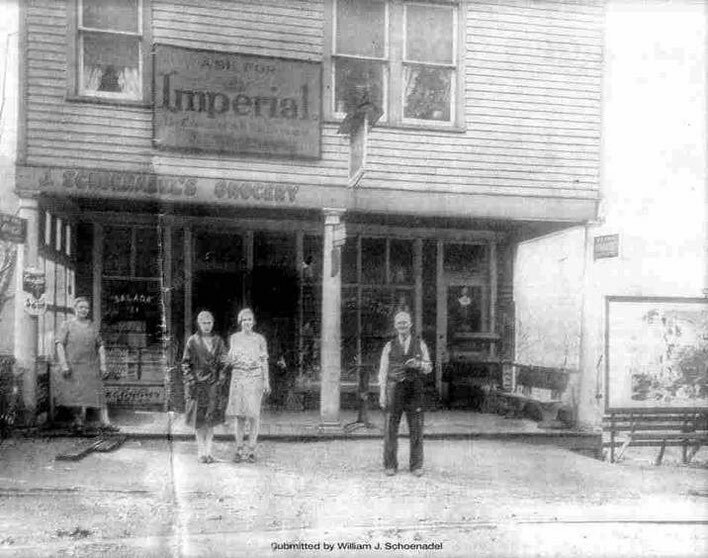 Joseph Schoenadel’s son William J. Schoenadel continues the tradition of serving the public today from his business at Little Orleans as a grocery, bar and restaurant for over 30 years. Bill’s store has for many decades been a favorite spot along the C&O canal as a favorite spot for hikers, bikers, hunters etc. It has been referred to as an “oasis in the woods”. Bill’s old store was destroyed by fire a few years back and was rebuilt by Bill and his family with help from many faithful friends and neighbors. They did not want to see this landmark disappear. It would be sadly missed by all who know it.